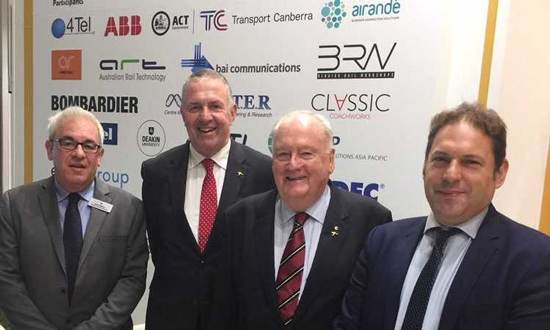 The Australasian Railway Association (ARA) and the UK’s Railway Industry Association (RIA) have announced today at Innotrans 2018 in Berlin that they are forming a Memorandum of Understanding (MoU) on behalf of their various memberships, that will see both organisations working closer together. The Railway Industry Association (RIA), the representative body for UK-based rail suppliers which has 220 rail companies in membership, and the Australasian Railway Association (ARA), the Australasian rail body which has 140 members, are signing an MoU, to promote a closer working relationship benefiting the rail supply industries in both countries. Both ARA and RIA have many common interests and deliver common services in their markets, which face similar opportunities and challenges. Both the UK and Australia rail sectors are expected to see continued significant investment in rail, but face issues recruiting new entrants into the rail industry, upskilling those already in the sector, smoothing out rail funding pipelines, and promoting the benefits of rail as a key driver of economic growth. A number of multinational rail companies are members of both trade organisations already.